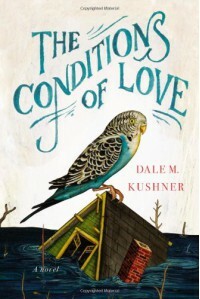 It is difficult to review Dale M. Kushner's The Conditions of Love without resorting to gushing hyperbole. This book is a staggering work of genius. It is the story of Eunice, from her childhood in Wild Pea, IL to her old age on a farm with her husband, Mr. Fox. That is the story. Abandoned by her father and raised by a lackluster mother, Eunice is swept away by a flood as a young teenager, rescued by a Rose, a mysterious woman with whom she lived for a few years until she is put into foster care with a decent family. While working in the family soda fountain, Eunice is mesmerized by a laconic, handsome stranger named Fox. And that is when things really get interesting. And that's what you will have to find out for yourself. Eunice is a metaphor for anyone who has been abandoned and spends their life craving love, being disappointed over and over again, and finally finding a love worth sticking with. The people she meets on her journey are often mysterious, mystical people, and they are also people with deep wounds and flaws. Tossed around and abandoned early in life, then abandoning her own mother as she tries to save both their lives in the flood, Eunice knows only the loss associated with loving. When she meets Fox, she discovers that love IS abandonment, but it is also commitment, tolerance, understanding, and plain hard work. Fox is a tight-lipped fellow with secrets and stories that torment him, and Eunice is tormented by his mercurial nature and the secrets that she thinks stand in the way of a real relationship, but her life has taught her how to bend and sway in the wind without breaking. The book is much, much more than this short story summary. This is a breathtaking first novel of staggering brilliance, significance, and importance. Laden with beautiful, striking imagery and poetic language, The Conditions of Love is a book about love. The title is a multiple entendre: we desire unconditional love, but that never happens; all relationships have conditions attached to them; and at times, being in love or experiencing unrequited love can make one ill - as though love itself were a condition. 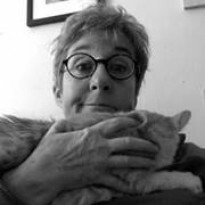 Ms. Kushner, a poet, writes prose as though it were poetry. This is a long, complicated story without an extraneous word. Every line builds on the last line, every action has a reaction, every encounter is both straightforward and complicated. Every single character, including Eunice's turtle, Eunice Turtle, is an Everyman or Everywoman. I know that I was breathing as I read this book, but i felt as though I had taken one big inhale and the beginning and then held my breath until the very last word. Eunice's life journey is the journey many of us take without knowing it, or recognizing that we are on a journey. Layered with nuance, sadness and wit, The Conditions of Love is an experience. Ms. Kushner is a magnificent writer. Don't miss it.